Most of us use an oil to polish our wood furniture. This is a quick and easy way to moisturize the finish and to create a great look. But the oil wears off quickly and dust comes back. It is a little harder to do, and takes a bit more time, but using a hard wax to work into your wood furniture creates a protective layer that can actually help repel the dust, and keep a good shine to the wood. 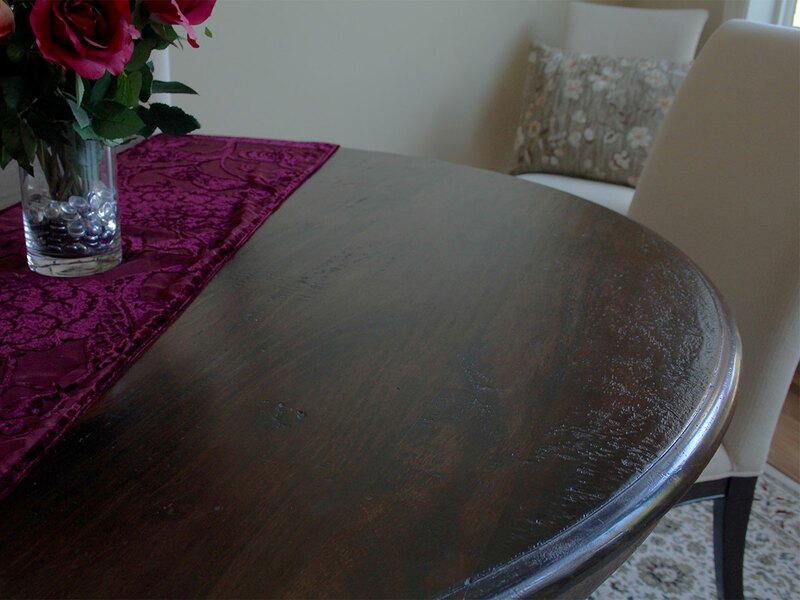 There are two different processes to for keeping your wood furniture looking great. Some people prefer to use oils on the wood, while others like to use wax. They key is to use one or the other. Some people say that wax doesn’t attract as much dust as using oils. If you want to use wax, you may want to find a thinning product to remove the buildup of previous oils. The next step is to buy a wood wax and most have a paste like consistency. Use a soft cloth and dip into the paste wax. Then spread the wax on your wood furniture with long strokes. After you are done, take another clean soft cloth and buff out the wax on the furniture. Here is a great video from Ron Hazelton.